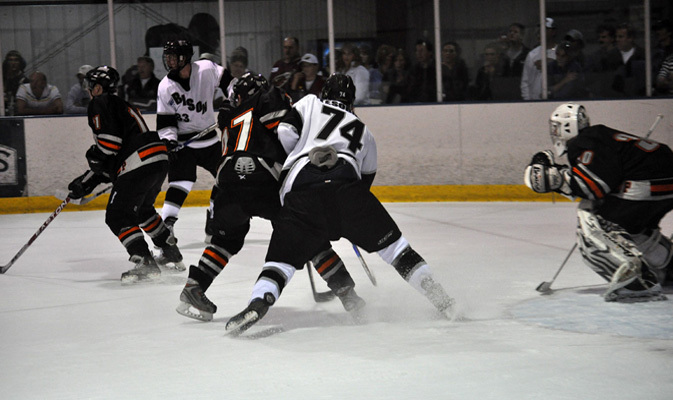 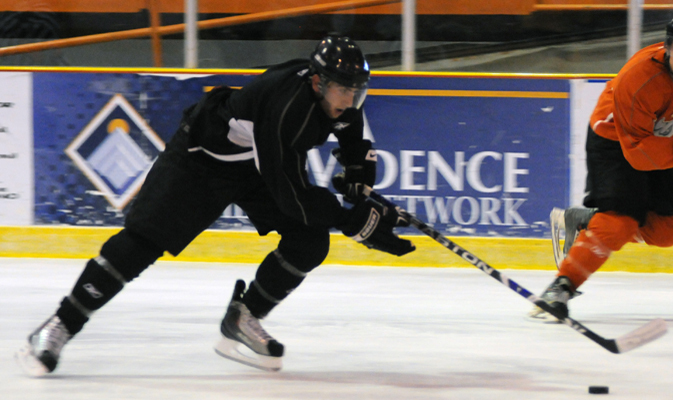 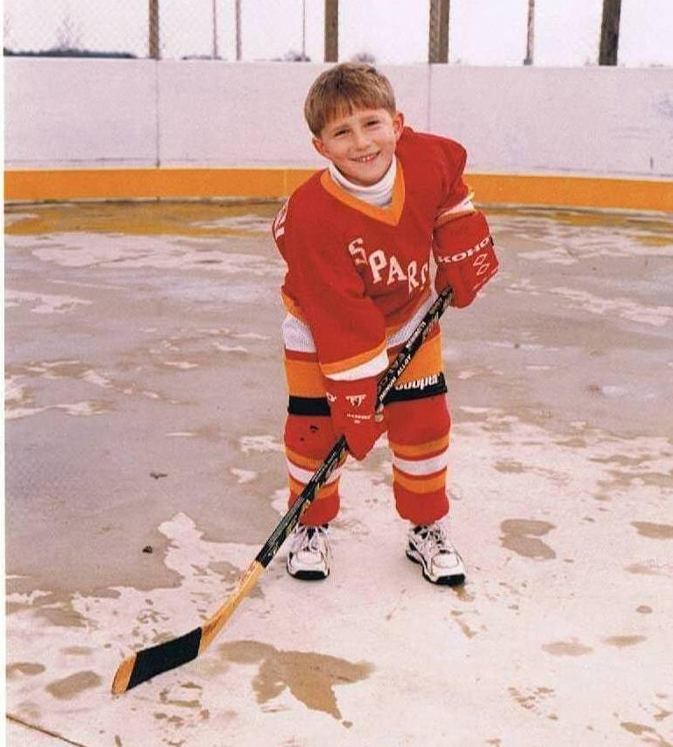 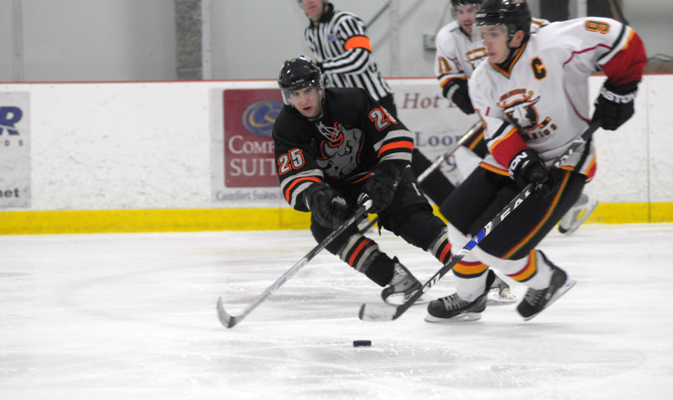 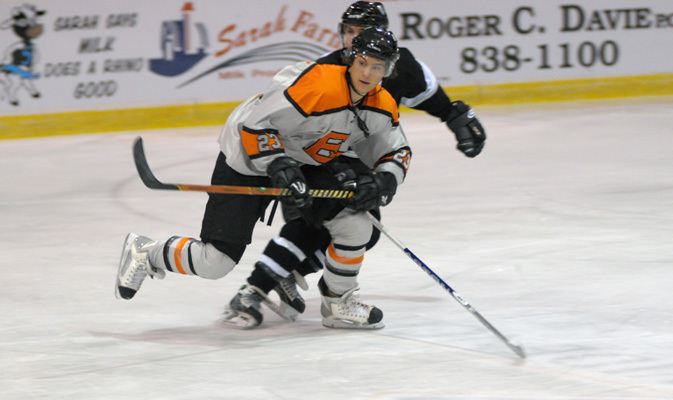 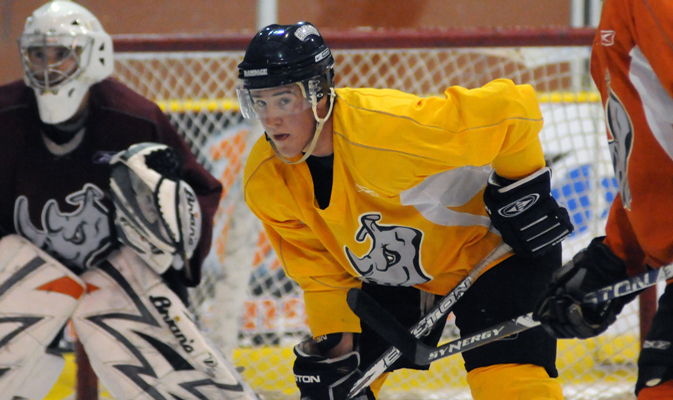 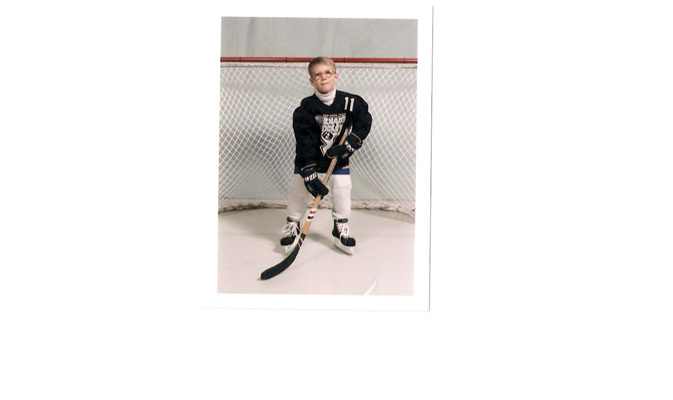 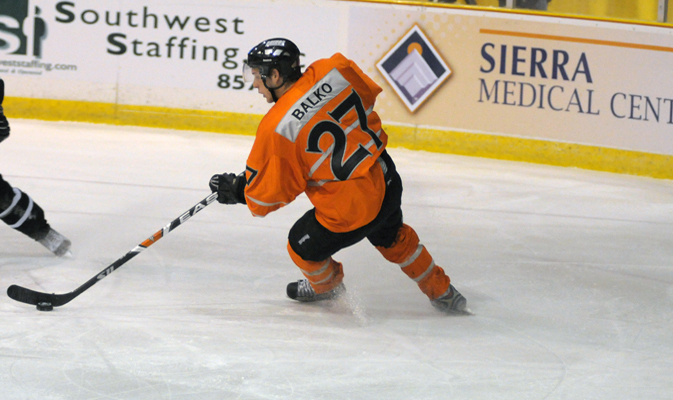 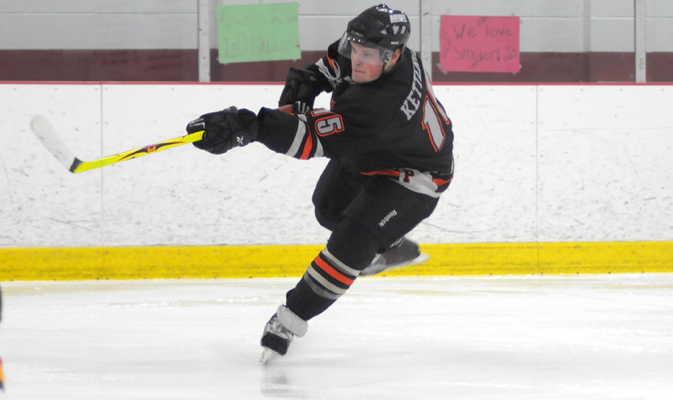 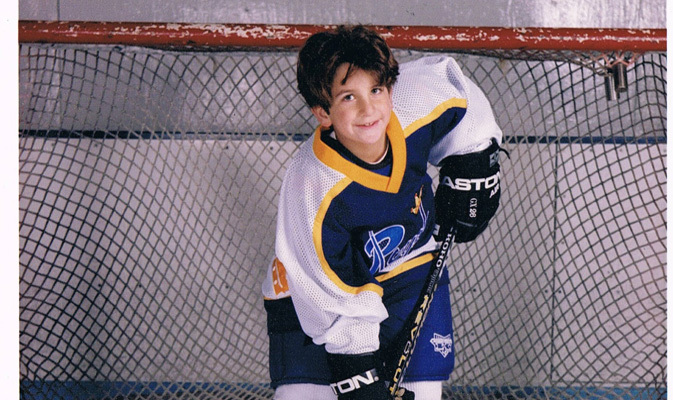 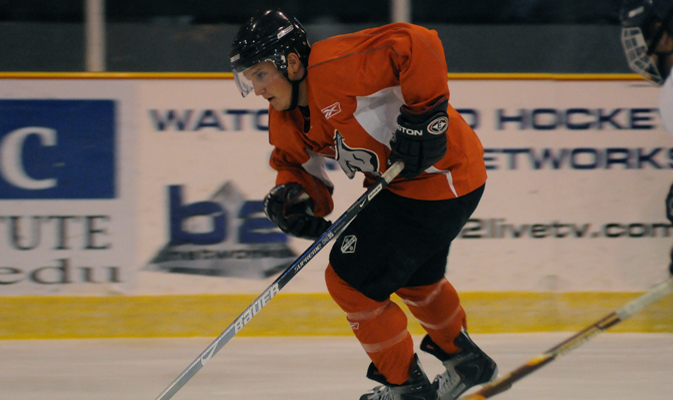 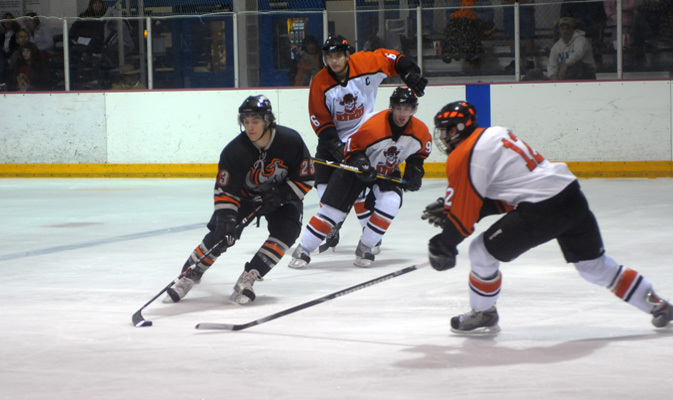 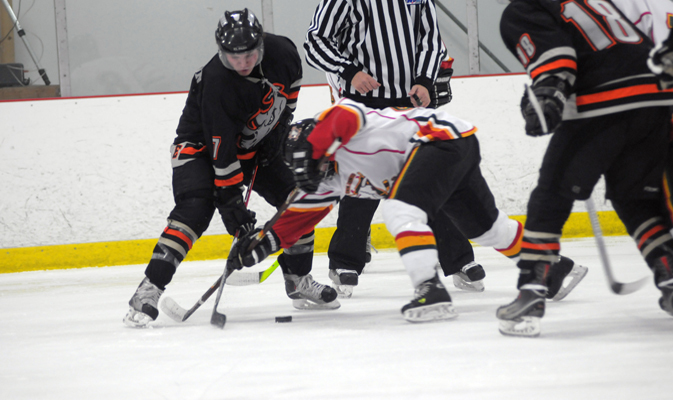 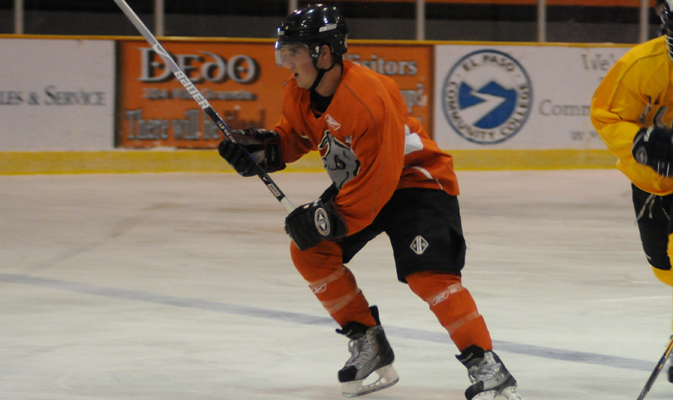 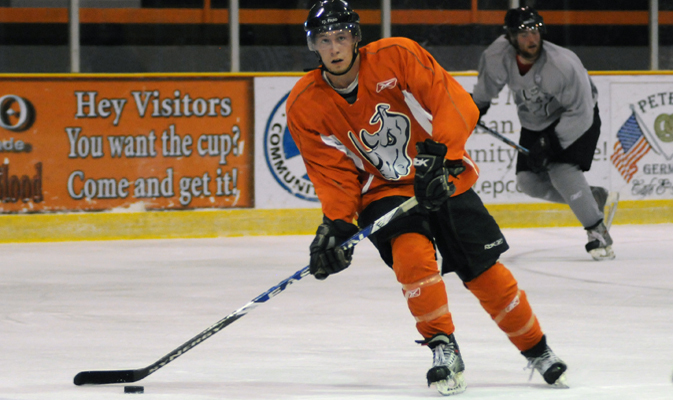 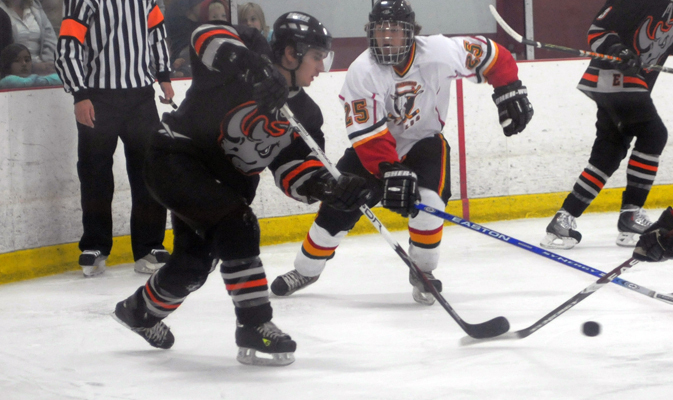 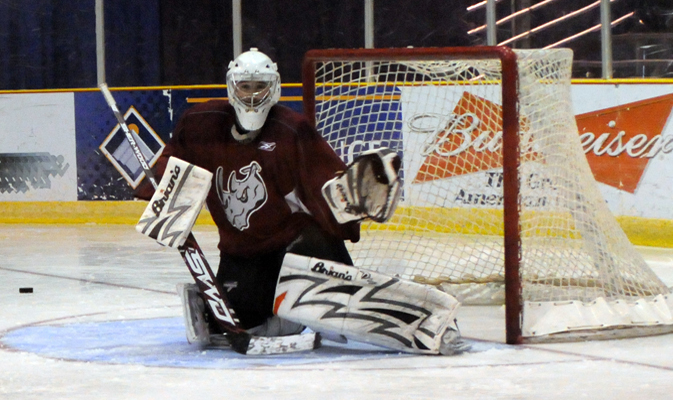 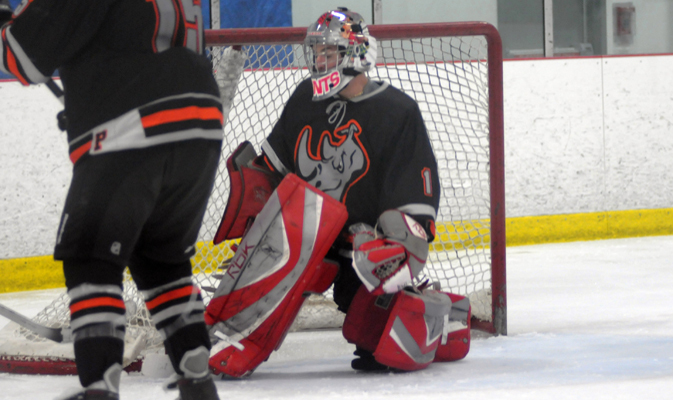 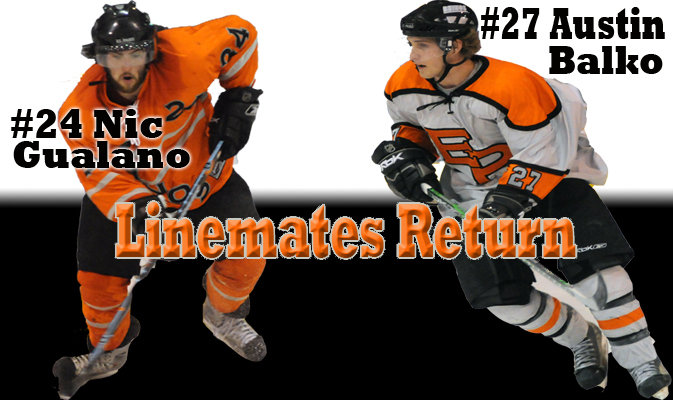 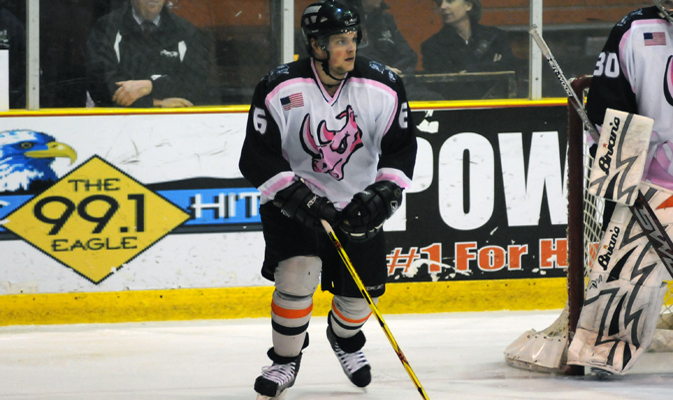 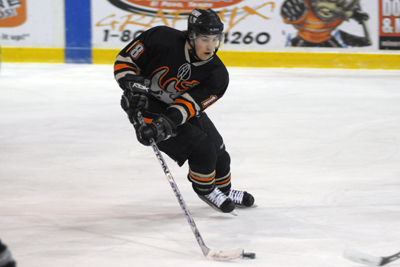 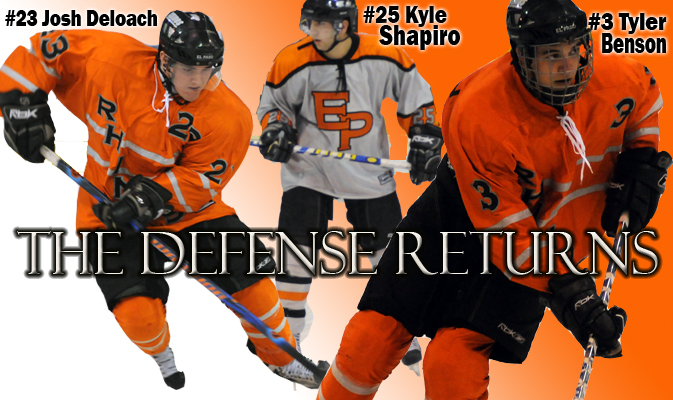 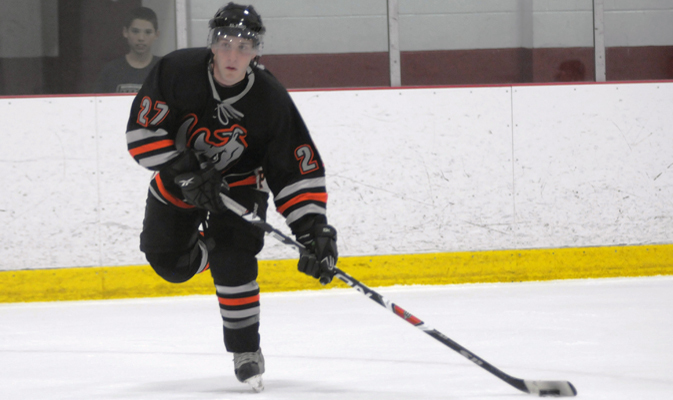 Ben comes to the Rhinos as a part of the new team partnership agreement with the Fairbanks Ice Dogs of the NAHL. "I’m excited about becoming a Rhino; I thought Coach Herman was a great guy when I spoke to him." 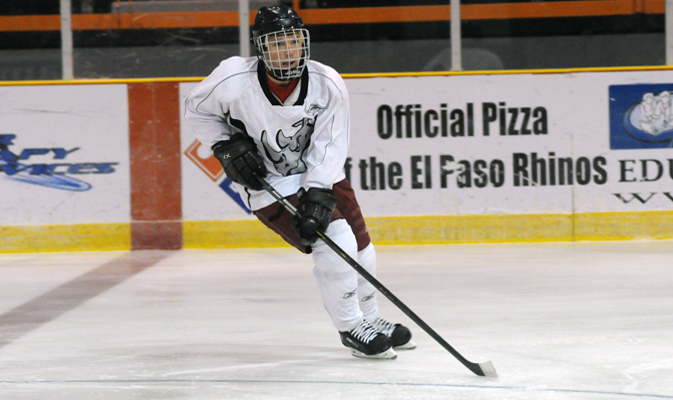 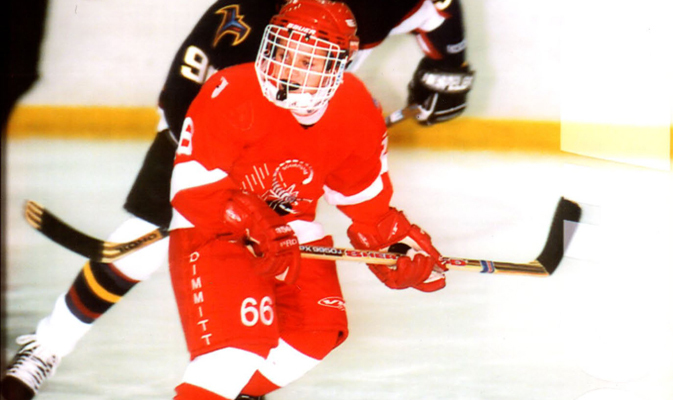 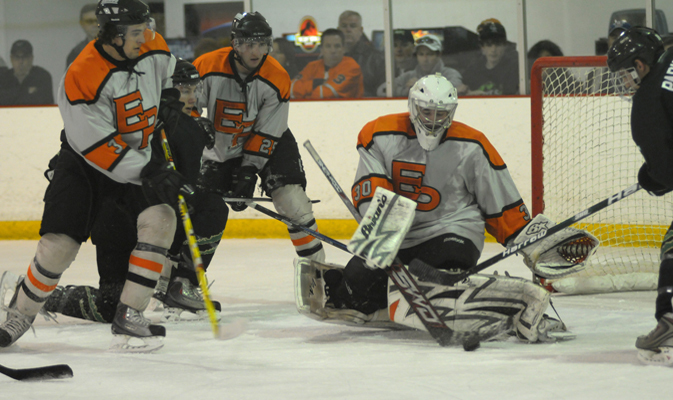 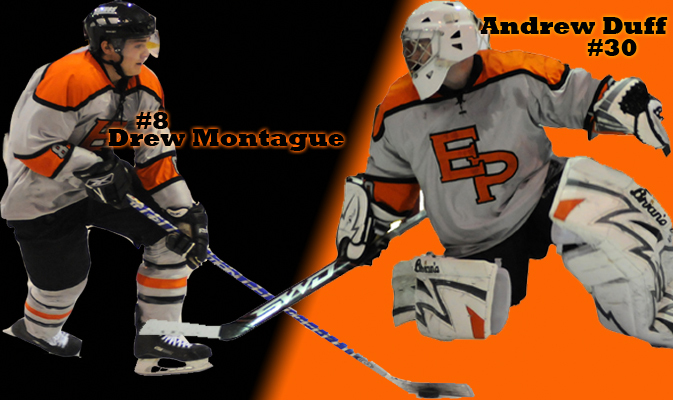 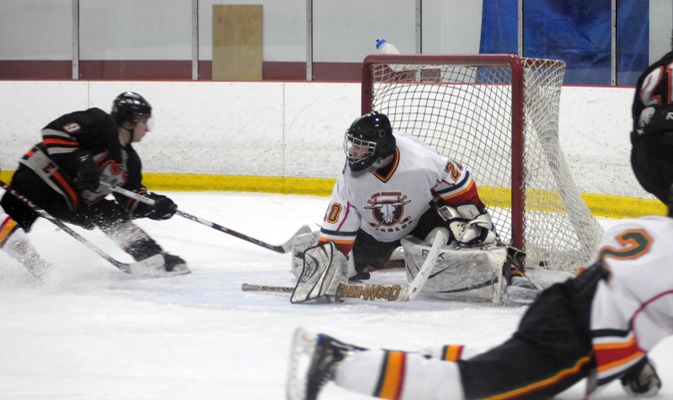 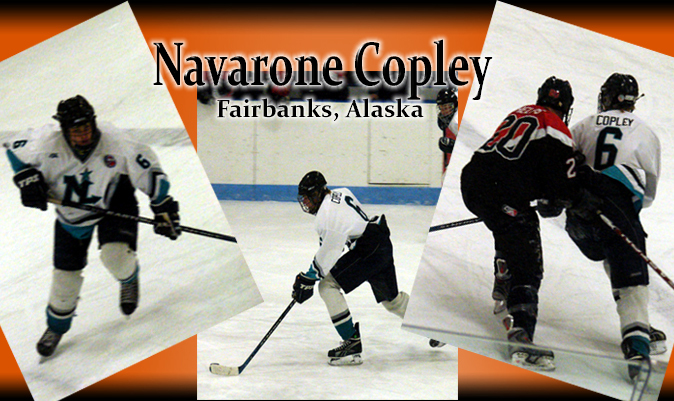 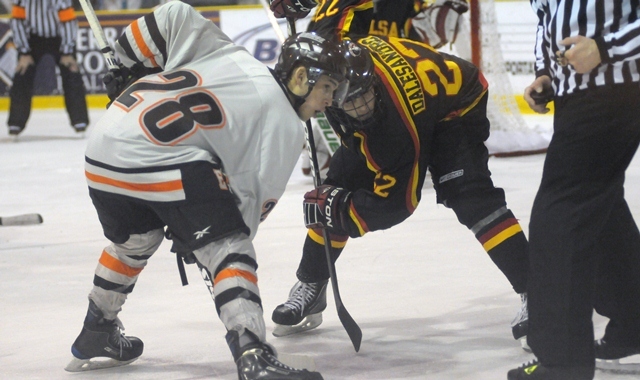 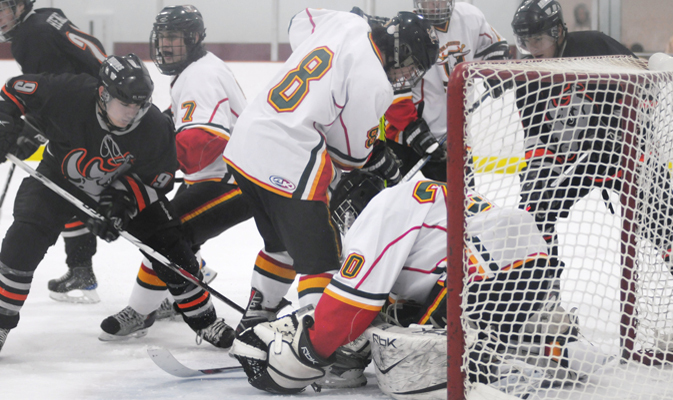 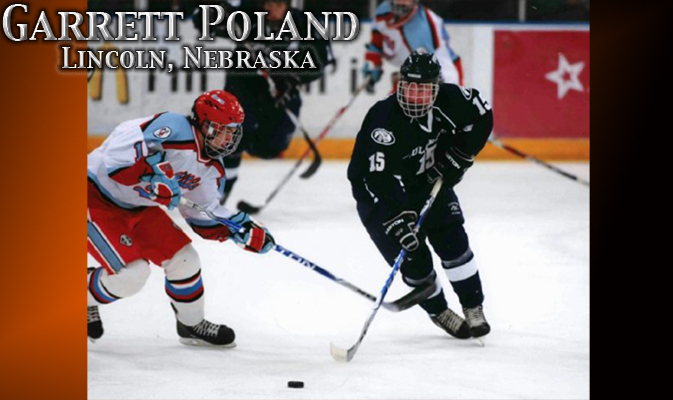 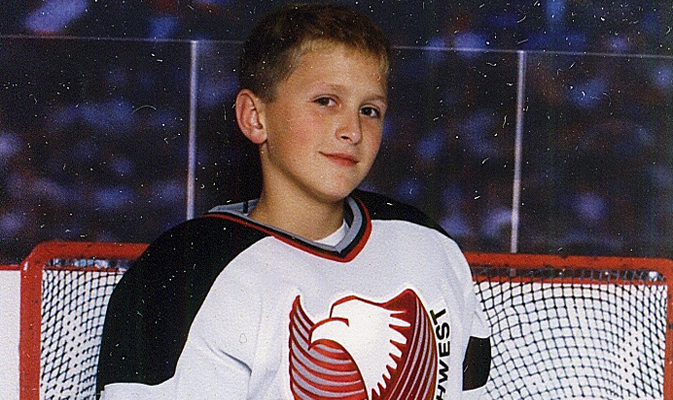 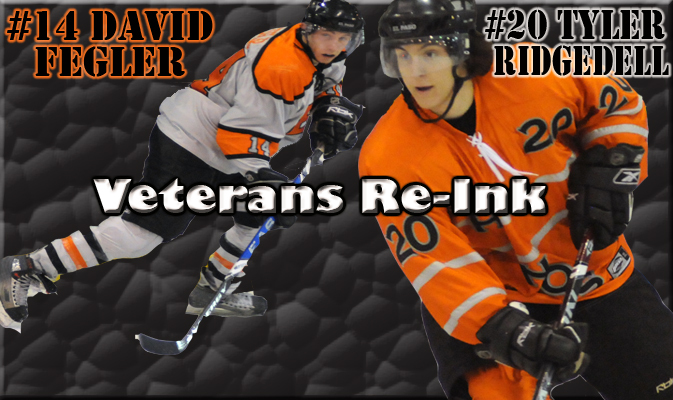 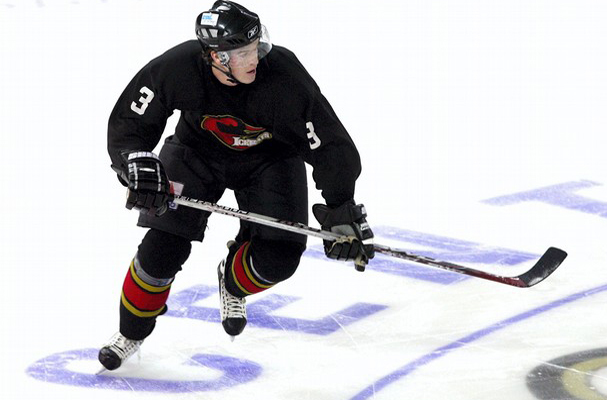 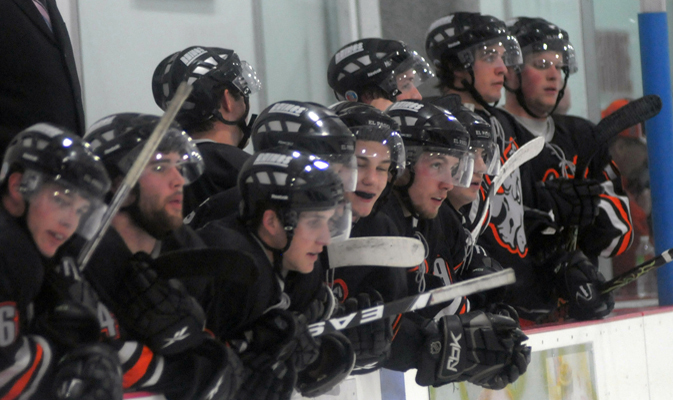 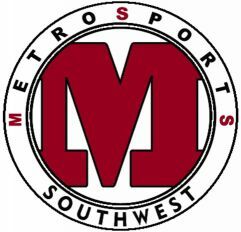 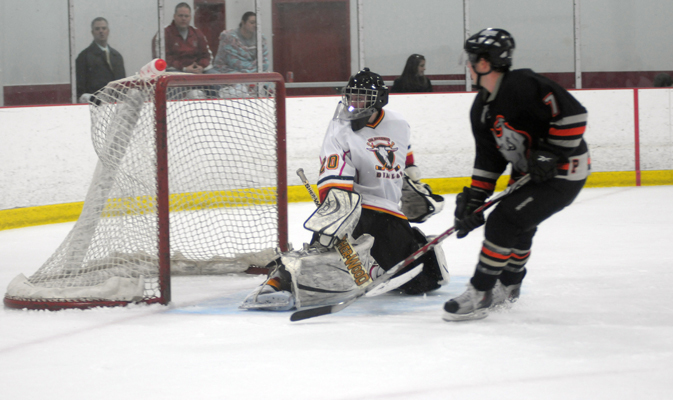 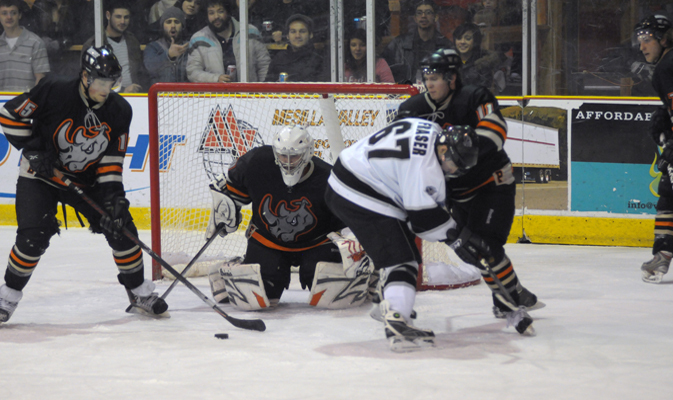 "I spoke to coach (Rob) Proffitt (Arctic Lions & Fairbanks Ice Dogs GM), about El Paso and he told me it was probably the top organization at the Tier III level." 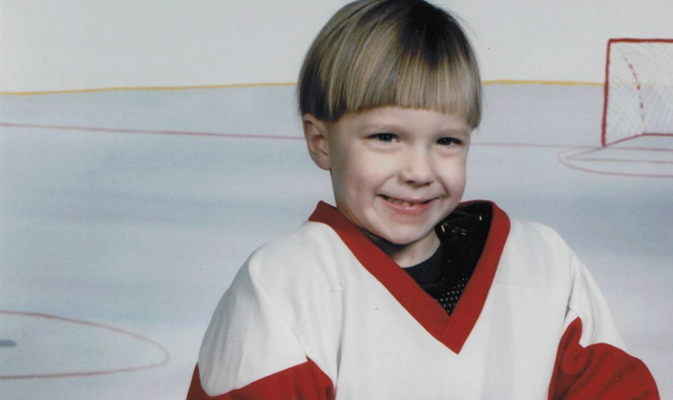 "My parents are all for my moving to El Paso, I’m excited to be out on my own for the first time and I won’t miss the -60 degree winter." 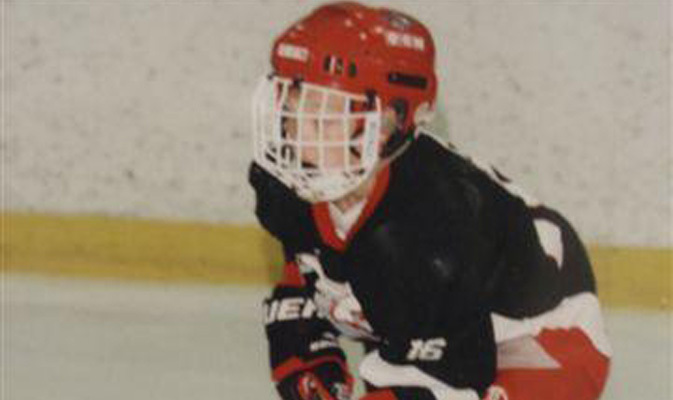 "I think the biggest adjustment playing Juniors will be the speed, but my goal is to play all the games." 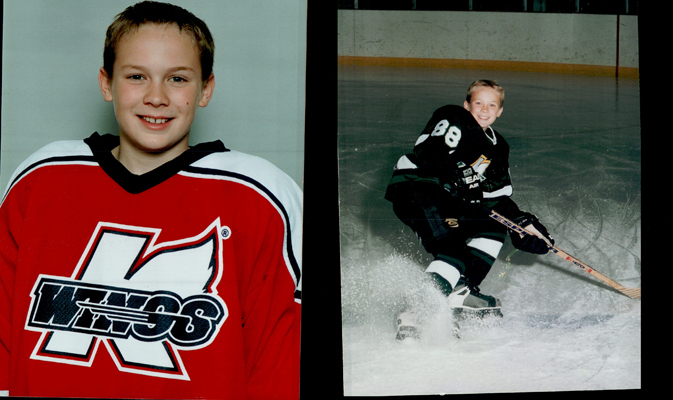 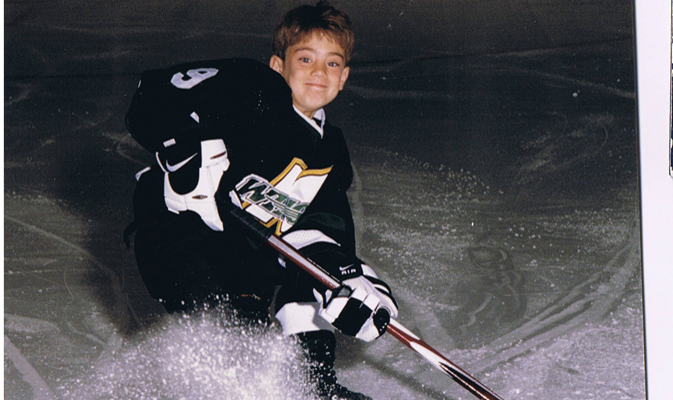 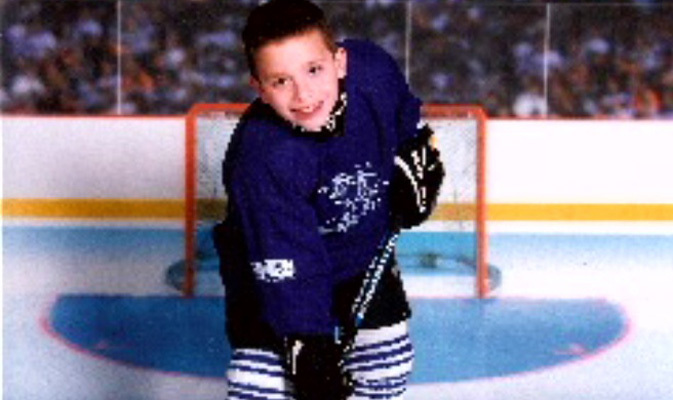 "I consider myself a power forward who can be a scorer when needed." 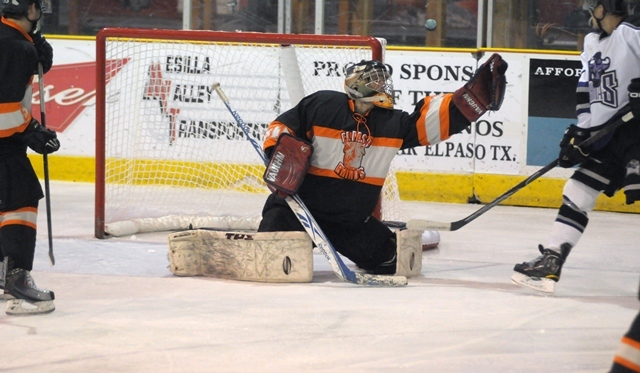 To say that Bill Krueger has taken the road least traveled to college could be the understatement of the year. 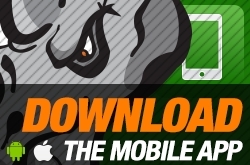 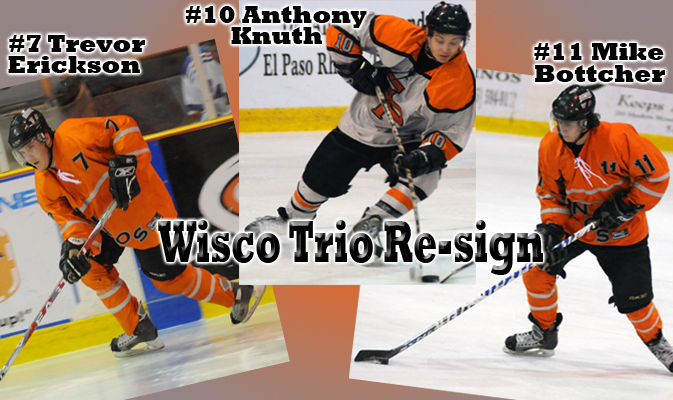 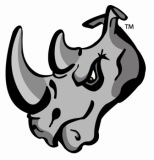 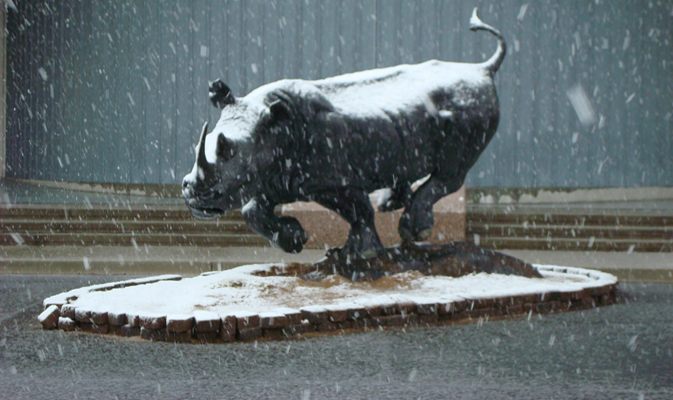 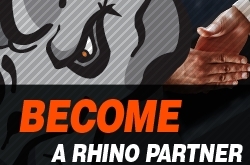 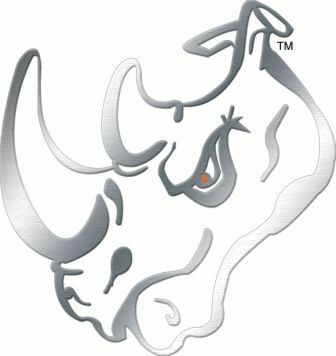 The last of the original Rhinos has committed. 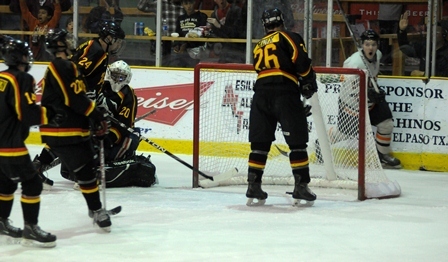 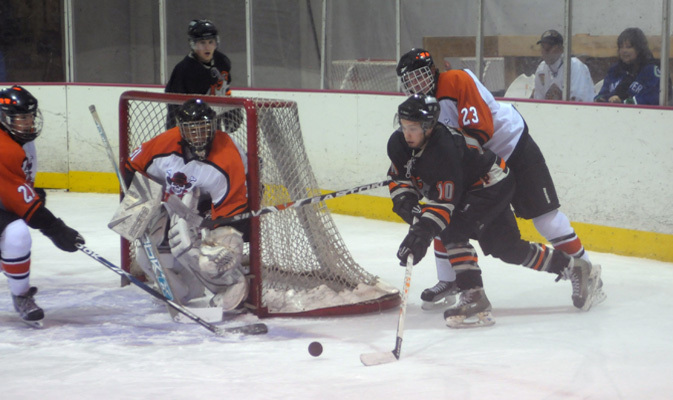 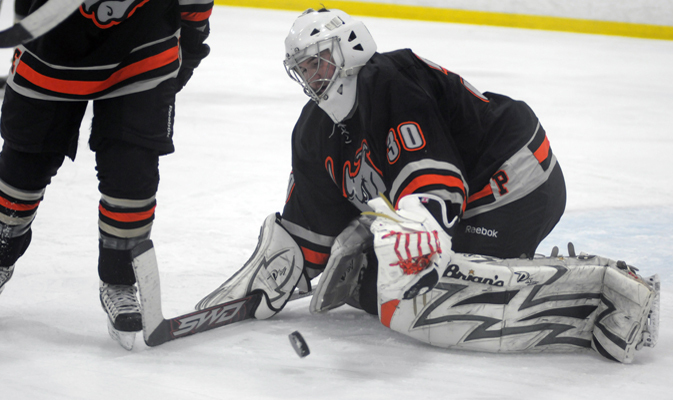 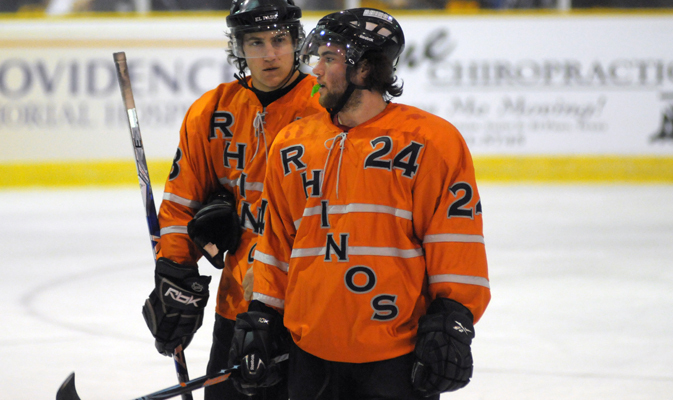 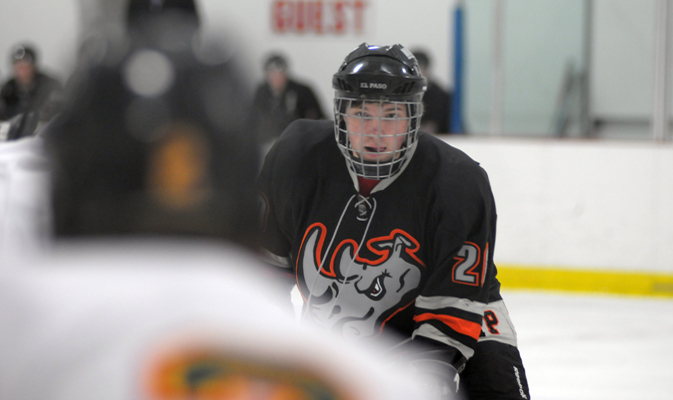 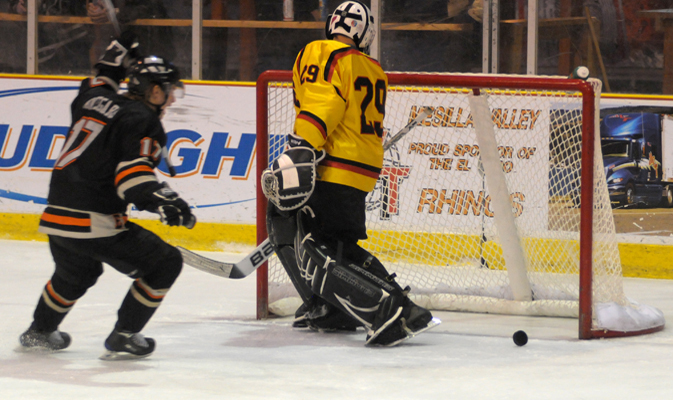 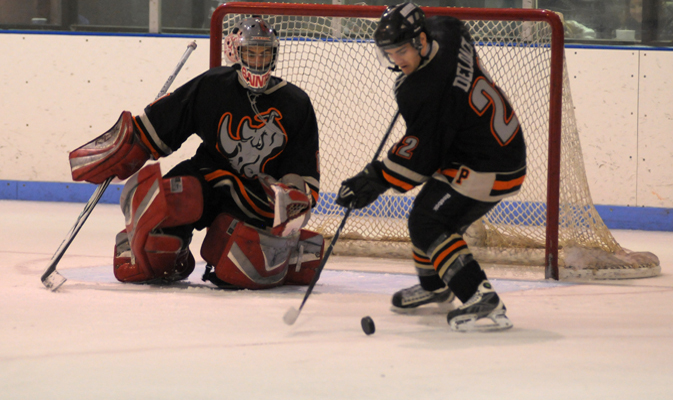 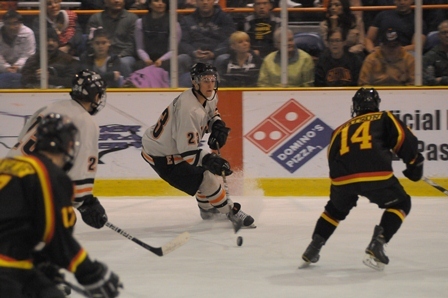 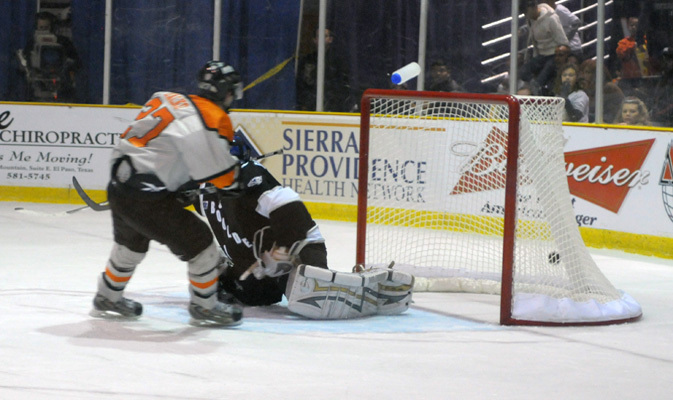 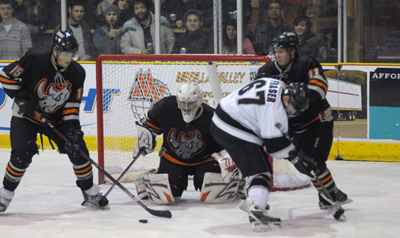 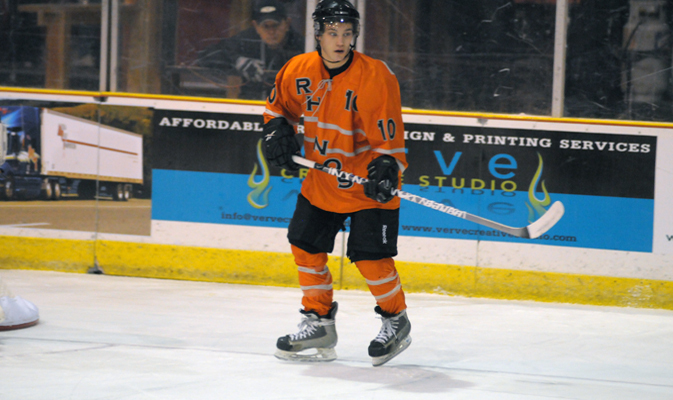 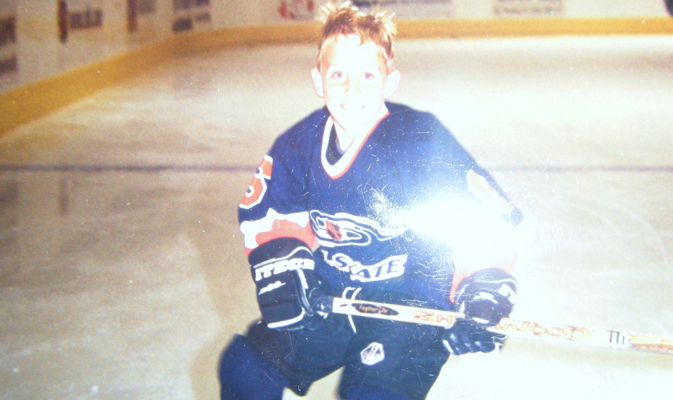 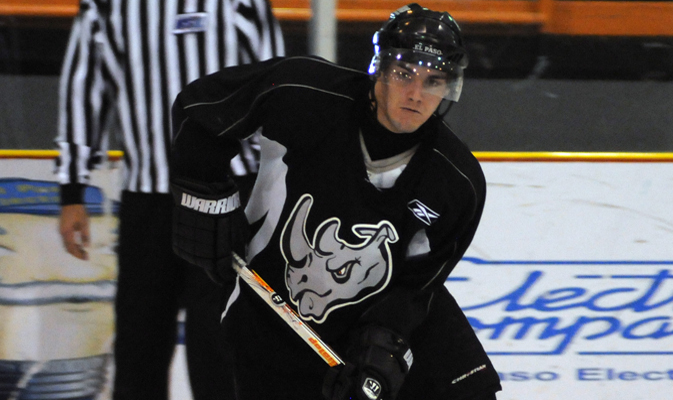 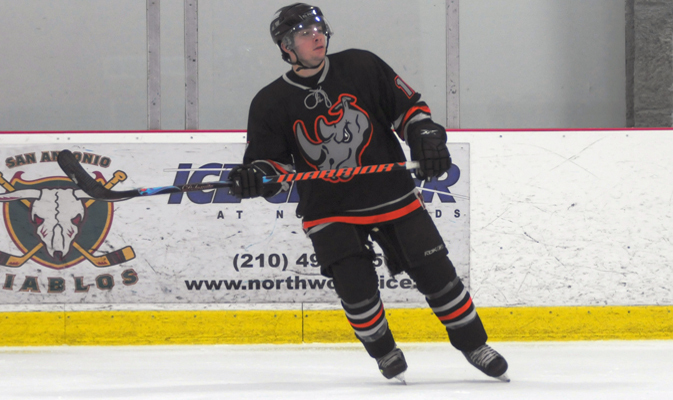 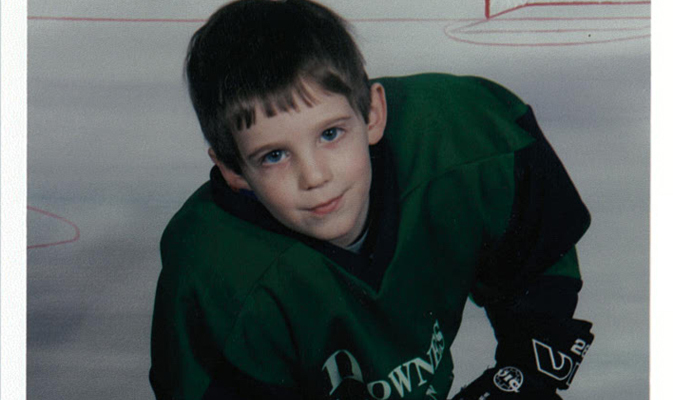 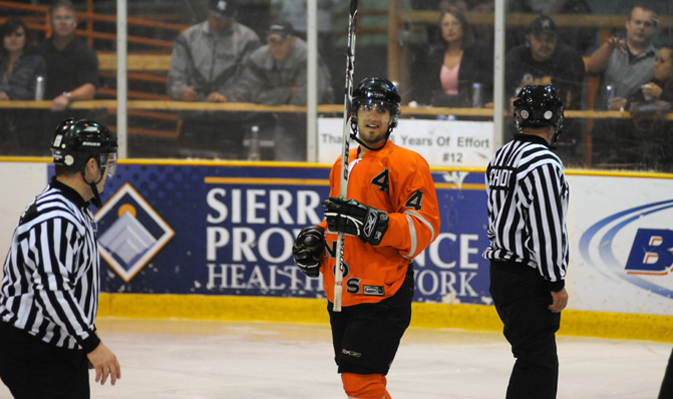 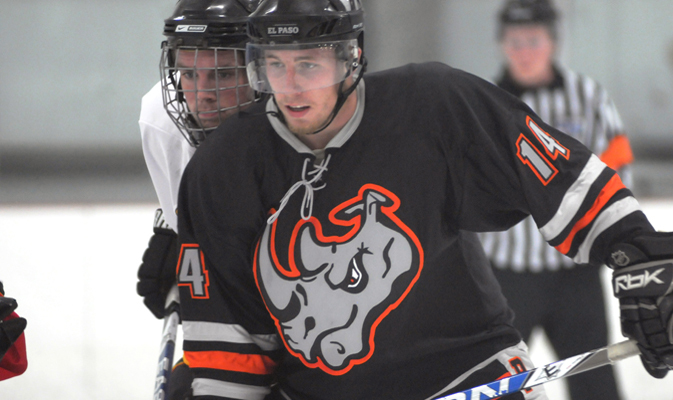 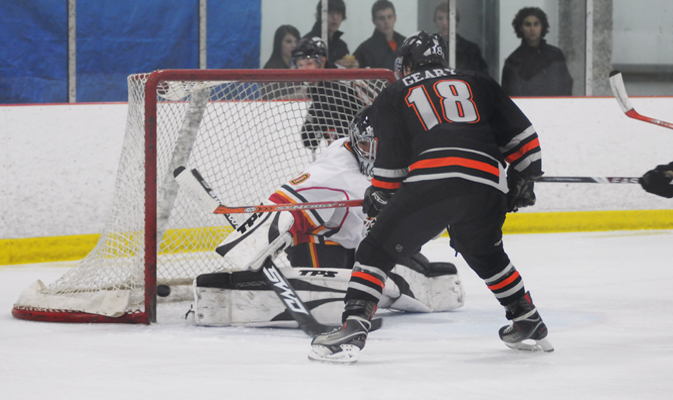 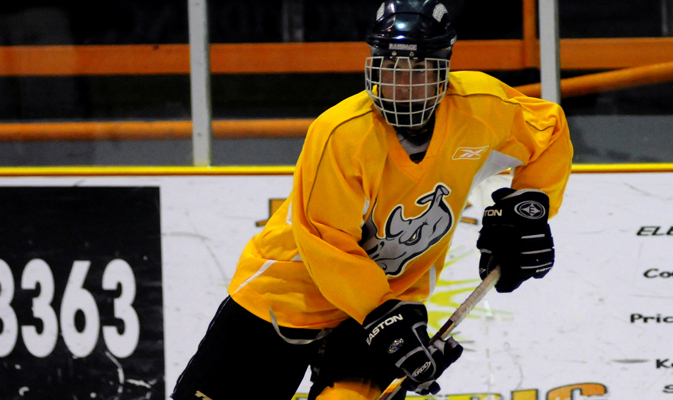 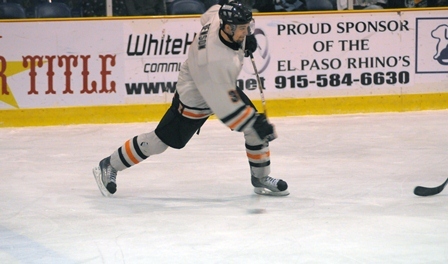 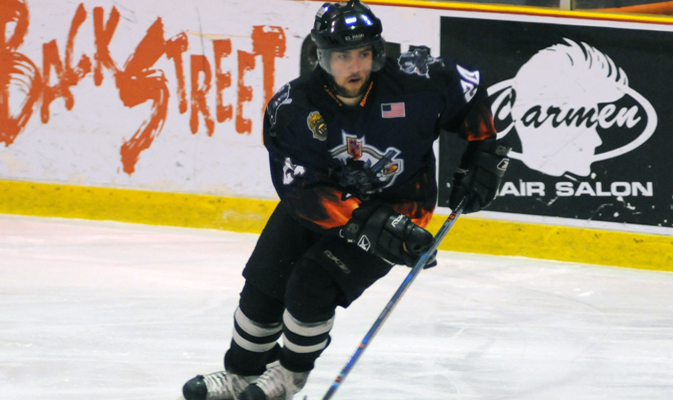 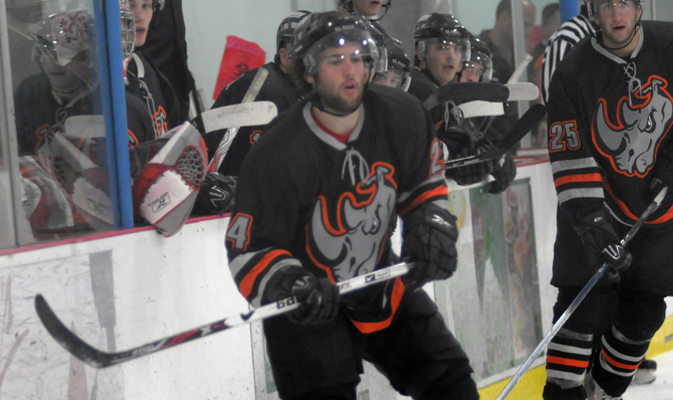 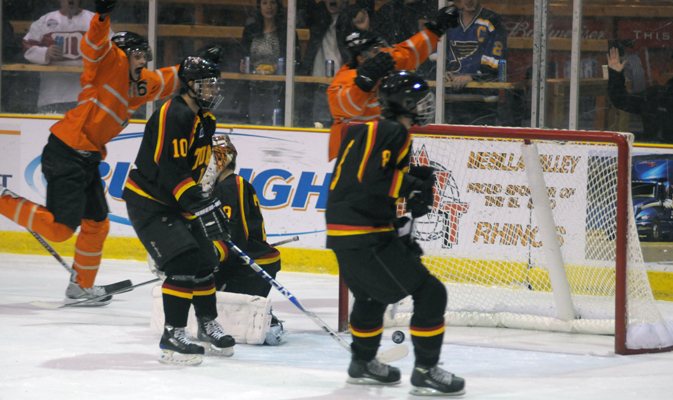 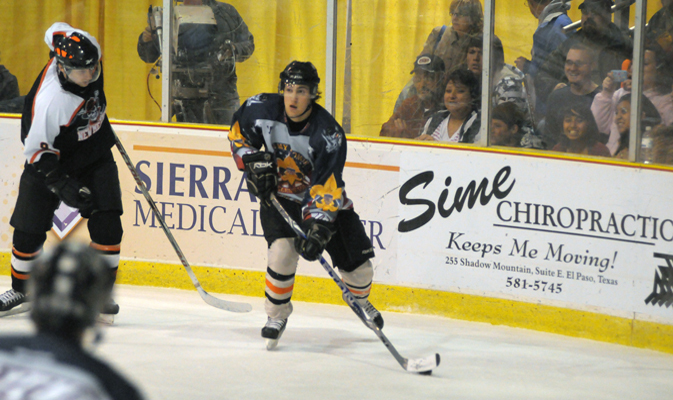 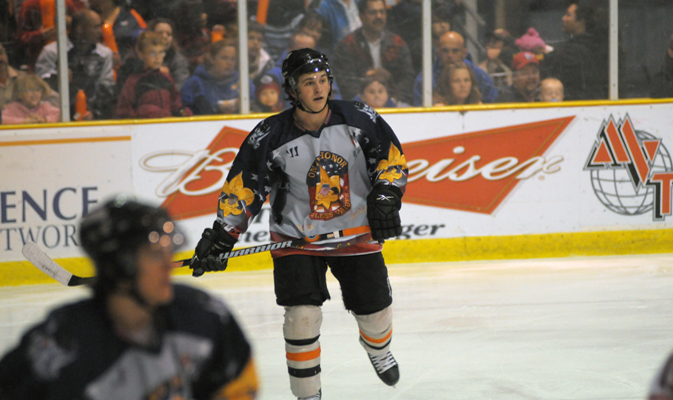 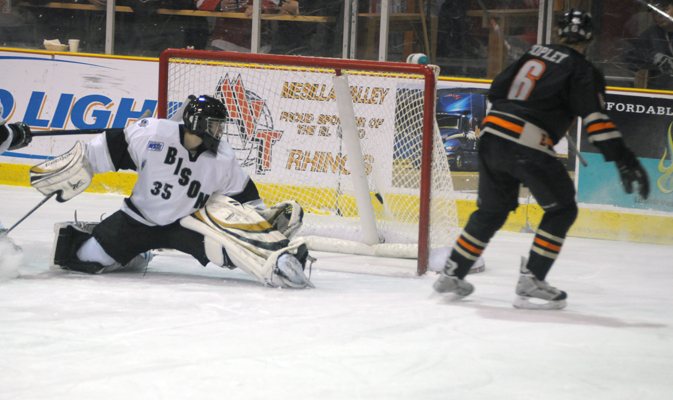 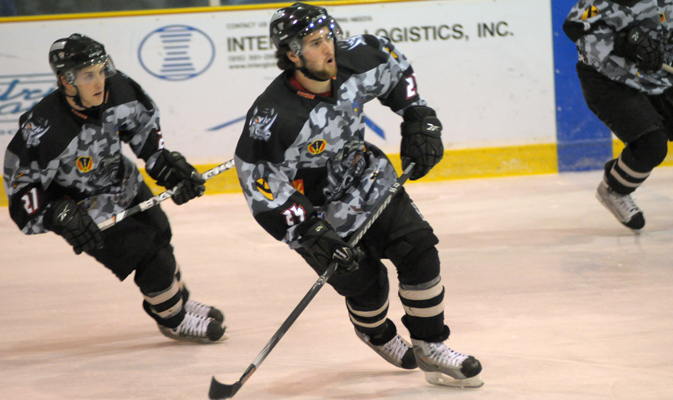 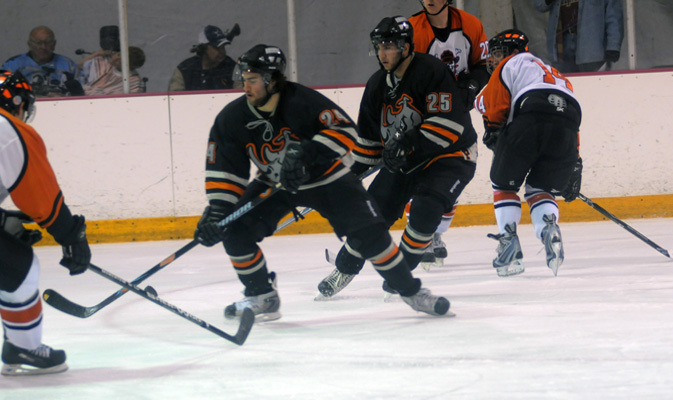 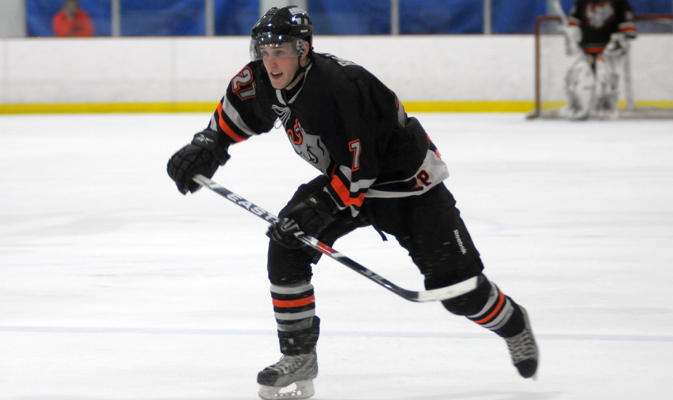 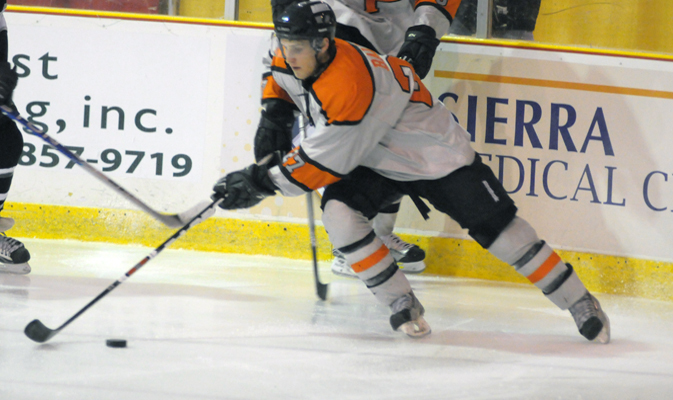 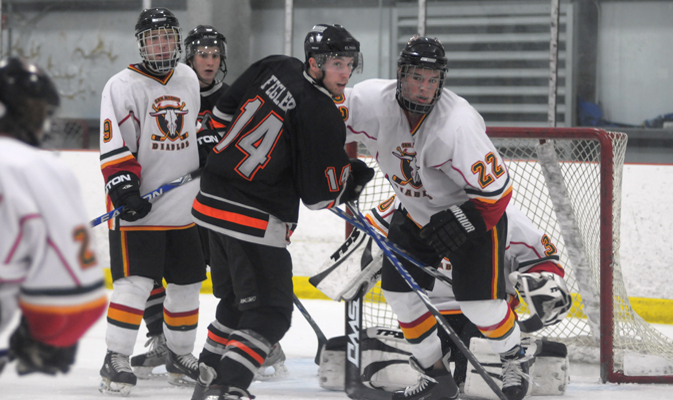 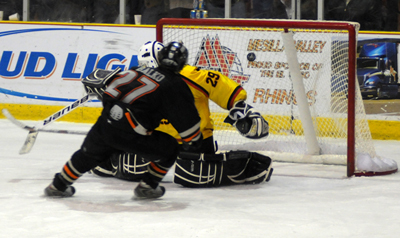 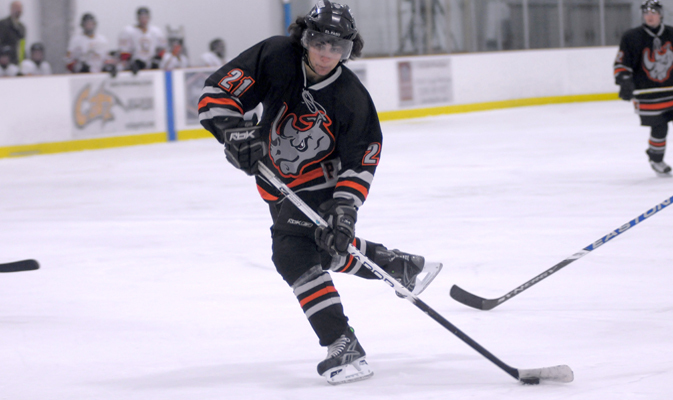 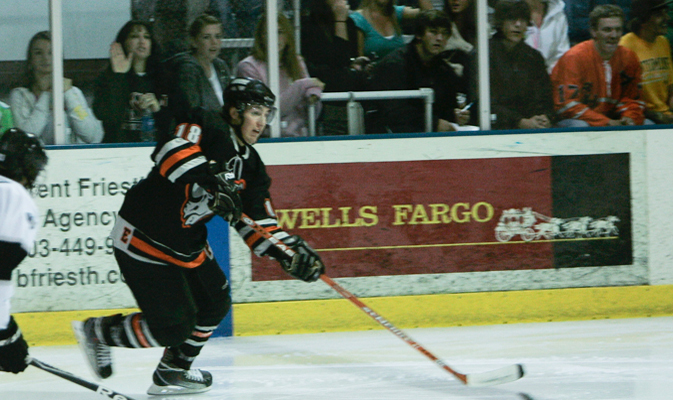 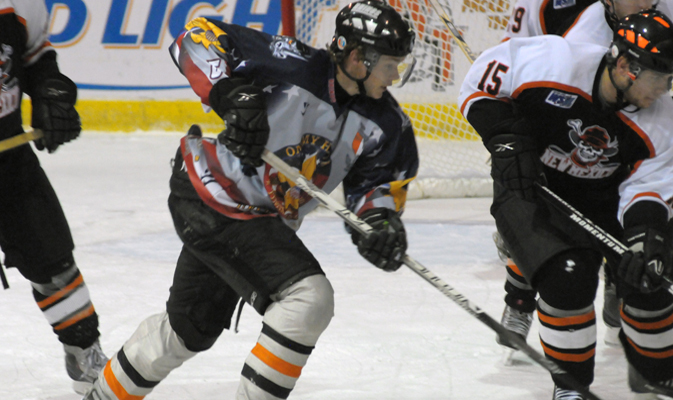 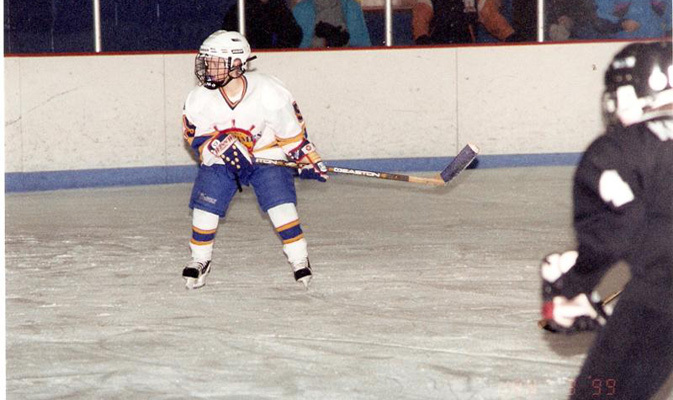 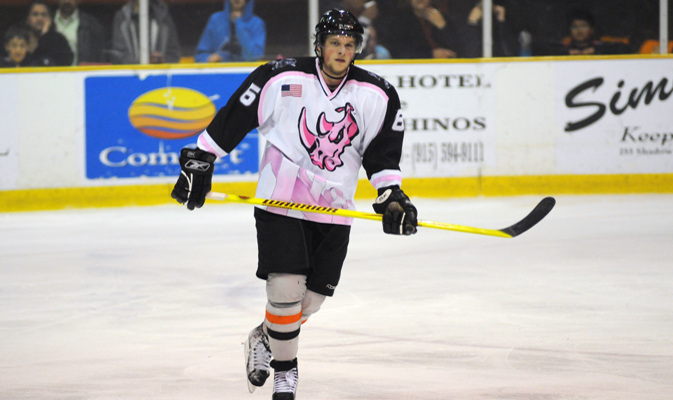 Nick Gorup finished his career as the most prolific scorer in Rhinos history. 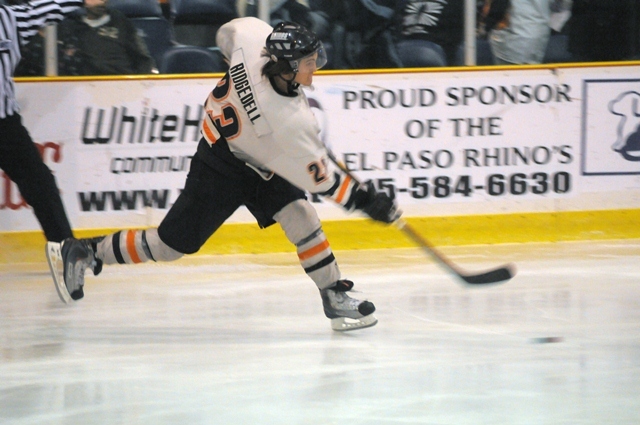 Jeffrey Schmudlach came to El Paso via Dubuque, briefly. 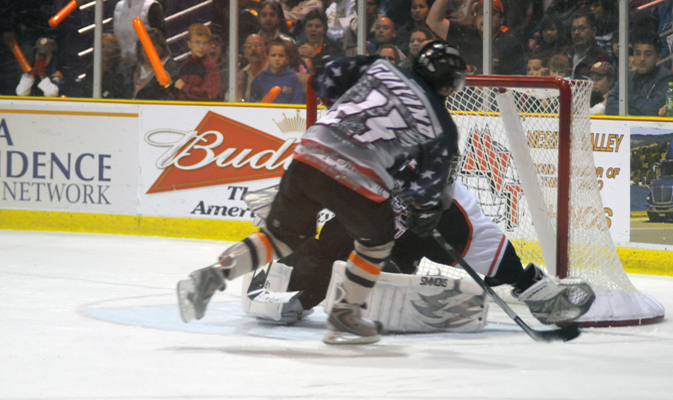 It was another hard-fought, playoff-style battle between El Paso and Tulsa, but with a different result. 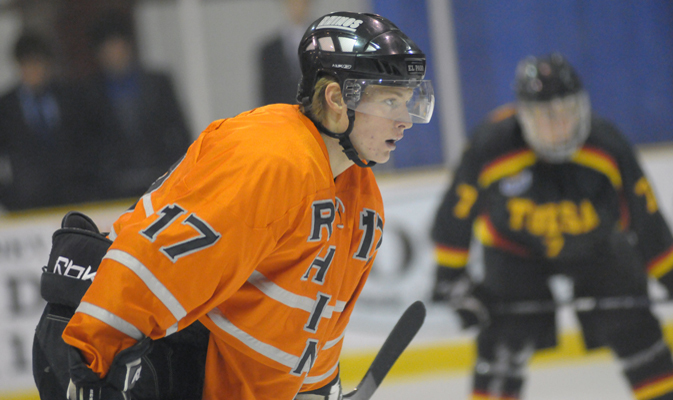 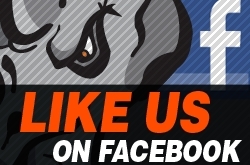 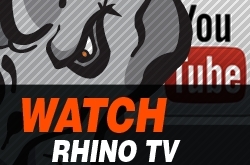 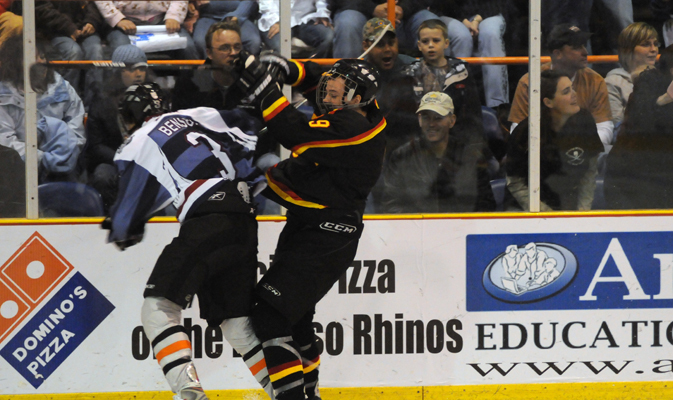 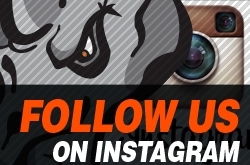 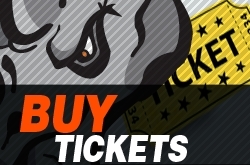 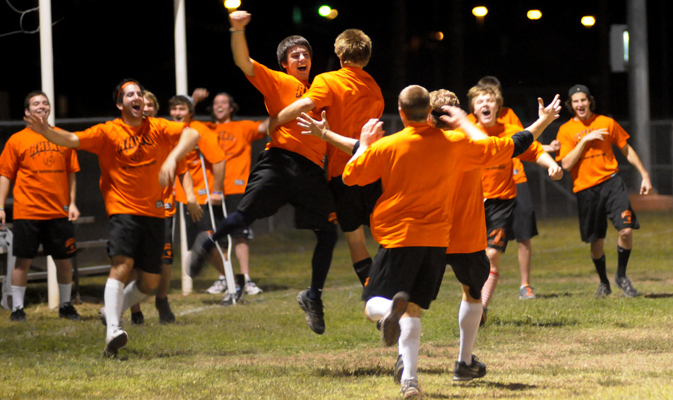 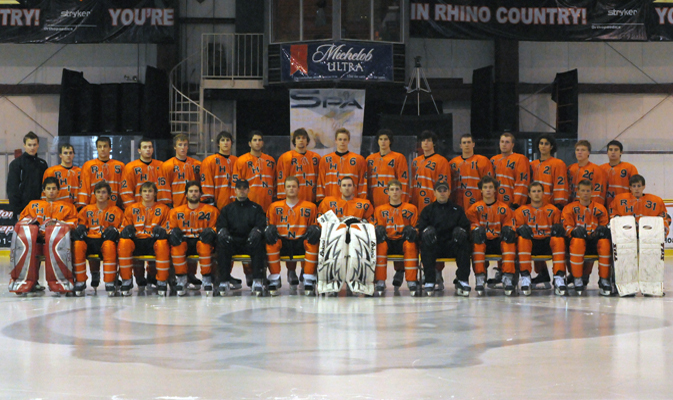 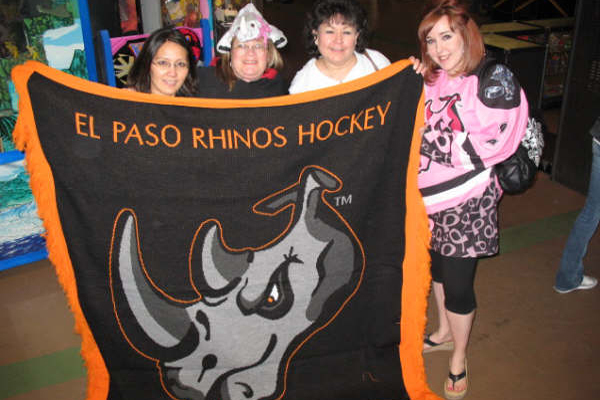 Saturday night in Tulsa the Rhinos prevailed, 3-1. 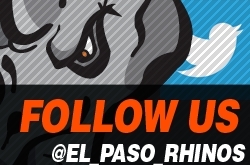 The Tulsa Rampage continue to be the thorn in El Paso’s Mid-West Division side, as the Rampage came from behind to beat the Rhinos, 3-2, in Tulsa Friday night. 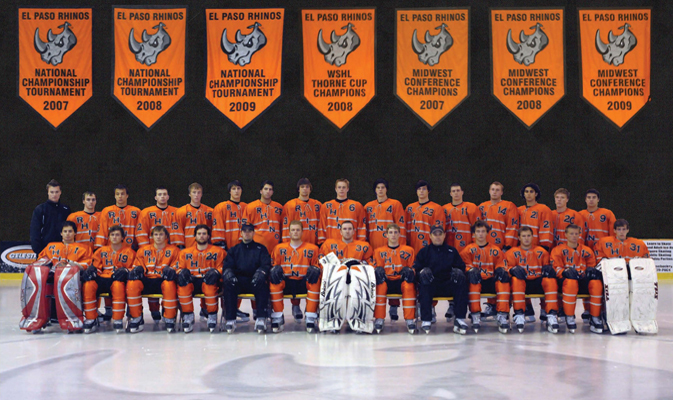 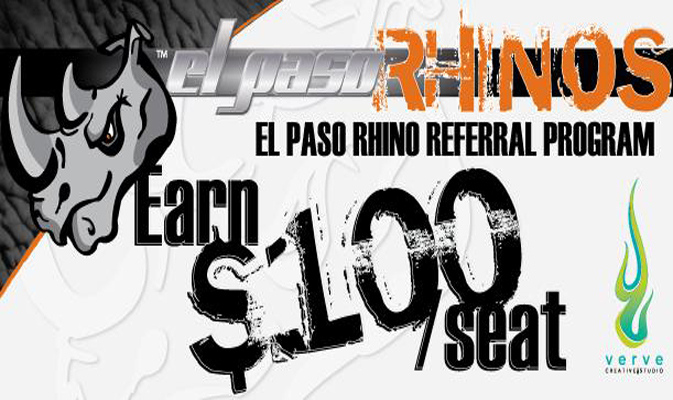 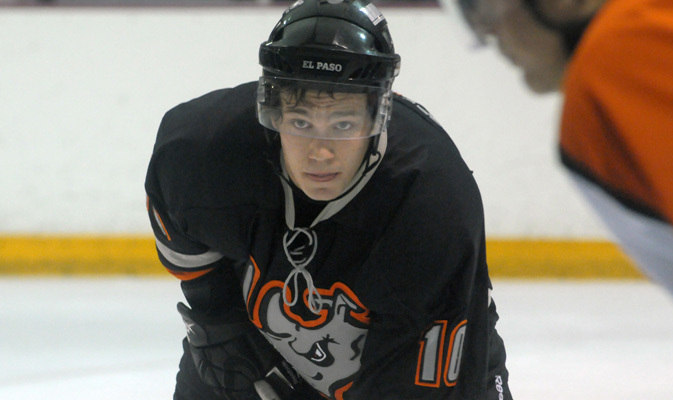 El Paso goaltender Andrew Duff stopped all 21 San Antonio shots and Nick Gorup scored twice as the Rhinos shut down the Diablos, 5-0.